The Divine Metaphor; Nuclear Fusion and the Bible. The Zohar tells us 600,000 angels accompanied the 70 Israelites (Jacob’s family) into Egypt, and in our last article (on parsha VaYigash) we also learned from the Zohar that the chariot Joseph harnessed and rode to greet his father was of angelic (divine) origin, the same one that appeared in Ezekiel’s famous vision. In a few weeks (17 chapters or 50 paragraphs, from now), we’ll read in the Torah (parsha BeShalach) how Pharaoh sent 600 chariots chasing after the 600,000 Israelites, who had just used the 70 Angels (Triplets, Names) to split and cross the Sea of Reeds. Let’s take a moment to examine all that. 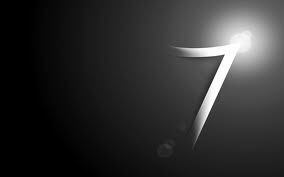 We know that 17 is the numerical value of Tov (good) and always implies this when designated specifically in the Torah, such as Joseph’s age when he was sold by his brothers and such as the 17 good years Jacob lived in Egypt (Goshen). We also know that 50, or an interval of 50, always refers to the 50 Gates of Binah and in turn to the 50-year jubilee period. So it can be easily inferred that this period from the entrance of Jacob and his 70 family members with their 600,000 escorting angles to their 600,000 descendants exit 210 years later was a good thing and that it relates to Binah and the jubilee counting system. And indeed, we know from the Zohar that they did overcome the negativity of Egypt and reach the 50th Gate of Binah at Mt Sinai, 210 years later. Moreover, those 210 years were exactly 4.2 jubilee years, a reference to the al-important 42-Letter Name of G-d. This is very important to the understanding of why the Israelites were in Egypt, why we’re still in exile, and when we’re coming out of exile. Let us note further that exactly 44 jubilee years passed from Adam to Joseph’s birth (2200 years) and the first and essence of the 10 Plagues was in Hebrew dam (DM), meaning blood, of numerical value 44, like the blood Joseph’s brothers spread on his coat that they showed Jacob. Nevertheless, according to the Zohar, the Israelites were in Egypt for one main purpose, to recuperate the holy sparks scattered there at the shattering of the 10 disconnected vessels (sefirot/dimensions) that existed prior to the Creation of the Tree-of-life. And so as the expanded from 70 to 600,000 they physically absorbed those sparks 600,000 and the 70 angles. Meanwhile, the 600,000 protecting angels went from 8571.428 angels per Israelite to 1, and the Sea of Reeds was in front of them and Pharaoh’s 600 chariots behind them. In order to overcome their situation, the Israelites were forced to band together, unify, conjoin their 600,000 angels and concentrate their energy through the 70 Names. 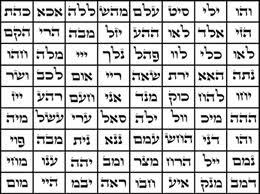 Theses 70 Names are also called today the 72 Names, as they are comprised of the 216 letters derived from the 3 consecutive 72-letter verses in BeShalach, but of the 72 Triplets there are only 70 unique Names as emphasized by the Zohar and as we can see for ourselves. There is to this day still only 600,000 Israelite soul roots that originated from the 70 family members, the 12 sons of Jacob, the 3 Patriarchs and Adam, and we may have to reunite once again to end this exile as our ancestors did in the first. After all, it took Ester, Morchachai and Ezra to unite our ancestors trapped in Babylon to end their 70 years of exile as well. It stands to reason, unity amongst our souls is key. Let’s set that aside for the moment and take a closer look at those 70 Israelites. Interestingly enough, there are an awful lot of 7’s in this story. Jacob “began his journey” by leaving Beer Sheba, the 7th Well. He then worked 7 years for Leah, 7 years for Rachel, and 7 years for himself. Then there was Pharaoh’s dream of 7 cows emerging from the reeds, 7 more emaciated cows, 7 ears of corn, 7 more shriveled ears of corn, which were translated by Joseph to 7 good years and 7 fallow years. Jacob worked 7 years for Leah, 7 years for Rachel, and 7 years for himself. Then on the way to Goshen, Jacob, now called Israel, “began his journey” and stopped back at Beer Sheba, the 7th Well, where God spoke to him in a night vision, very similar to the prior time when he had just left Beer Sheba and had his famous vision of the angels racing up and down the ladder. When G-d reiterates his Covenant with Jacob that He had made with Abraham and Isaac, the Torah tells us Jacob set out from Beer Sheba, “the 7th well”. Next the Torah describes the make-up of the 70 family members and we find out that 7 are directly from Rachel, 14 from Rachel’s handmaiden, making 21 indirectly from Rachel in total, or 3 times 7. And the other 49 family members were from Leah and her handmaiden (33 and 16 respectively), or 7 times 7. We have 1 x 7 + 2 x 7 + 7 x 7 = 70. Yup! That’s a lot of 7’s. Could it be possible that the life and journey of Jacob was about establishing Zeir Anpin, the trunk of the tree-of-Life, comprised of the 7 lower sefirot (dimensions) and their 10 sub-dimensions each, or 70? Even the 16 offspring from Leah’s handmaiden corresponded to the 16 times Beer-Sheba (the 7th Well) is mentioned in the Torah and their 49 members are almost split in a 70/30 ratio. Nevertheless, when we apply the ration 8571.428 angels per family member, it works out to exactly 180,000 angels for Rachel’s camp and 420,000 for Leah’s camp, very interesting round numbers, especially considering that the square root of 180,000 angels is 424.26, with 424 being the numerical value if Moshiach Ben David and 26 of the Tetragrammaton (26). Nevertheless, back to the 8571.428 angels/person. If those angels were assigned to guard the 12 directions, as explained by the Zohar (think of the edges of a cube), and each of those groups (714.28 angels) were to be split up to guard the right, left, and central columns of their particular direction, then there would be 238.095… per group. Yet another interesting number, considering that 238 is the numerical value of Rachel, and also that 1/42 = .0238095. And yes, 238.095… is also the atomic weight of Uranium238. Moreover, the Atomic number of Uranium238 is 92 because it has 92 Protons in its’ nucleus and also 92 electrons circling it. Since Joseph was born in 2200 HC, Jacob was 92 at his birth. And of course, the numerical value of Rachel, his beloved, and Joseph’s mother is 238. Smelling something fishy? 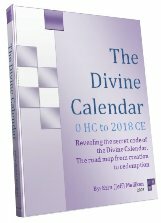 What about the fact that 2200 HC is the year 1560 BCE in the Gregorian calendar and the numerical value of Joseph is 156. Is this all a big Divine metaphor? So what’s the power here? Nuclear? 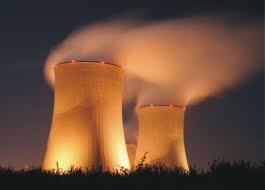 Nuclear Fusion? Is that the power behind the conjoining of our souls. Mathematically, what went on here? Following the instructions of the Arizal, we simply took 600,000 and divided it by 70 and then again by 12 and again by 3, mimicking the soul route of the Israelites from Adam to the 3 Patriarchs to the 12 sons (tribes) to the 70 family members, or 600,000/2520. And what is 2520, but the year of the Exodus and revelation at Sinai, 2448, plus 72, as in the 72 Triplets (Names that were utilized to effect the final fusion. 600,000/(2448 + 72) = 238.095 = Uranium238. So why was Joseph’s family split into Rachel’s camp of 21 and Leah’s camp of 49? It’s because 21/49 = 3/7 = .428 and that forms the relationship of the upper 3 sefirot (dimensions) with the lower 7 sefirot. In other words, it mimics the Tree-of-Life and it was planned that the Israelites would spread along the branches of that tree. kabbalistically, Leah is always representative of he upper levels, and Rachel of the lower ones, Malchut, but this is not what the Torah is showing us here. Except that the Zohar confirms that Leah’s children are the real malchut, while Joseph was of Yesod of the upper worlds. 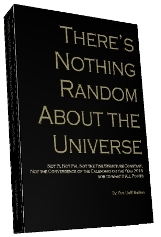 Author Jeffrey MeilikenPosted on December 16, 2010 Categories Kabbalah Secrets, RevelationsTags 12 tribes, 156, 1560, 17, 18, 210, 210 years, 2200, 238, 26, 42, 42-letter name, 424, 44, 50 year, 50th gate, 600, 600000, 7, 70, 70 names, 70 years, 72 Names, 72 triplets, 92, angels, arizal, Beshalah, binah, chariot, end of days, exile, Ezekiel, Israelites, Joseph, jubilee years, leah, mashiaci, messiah, Moshaich ben David, patriarches, rachel, tov, Uranium238, Vayigash, YHVH, zoharLeave a comment on The Divine Metaphor; Nuclear Fusion and the Bible.